21 rescued Chibok girls were exchanged for four Boko Haram prisoners - FG, while Nigeria Military said they are not aware of the Release . Nigeria's presidency has confirmed the release of 21 Chibok girls kidnapped by Boko Haram Islamists in 2014. And also said the Chibok girls were exchanged for four Boko Haram prisoners in Banki. Around 270 girls were taken from their school in Chibok in April 2014. Dozens escaped in the initial melee, but more than 200 are still missing. Nigeria’s military says it is not aware of the twenty one Chibok schoolgirls released by the Boko Haram insurgents on Thursday. This was contained in a news alert from the News Agency of Nigeria (NAN) on Thursday morning. 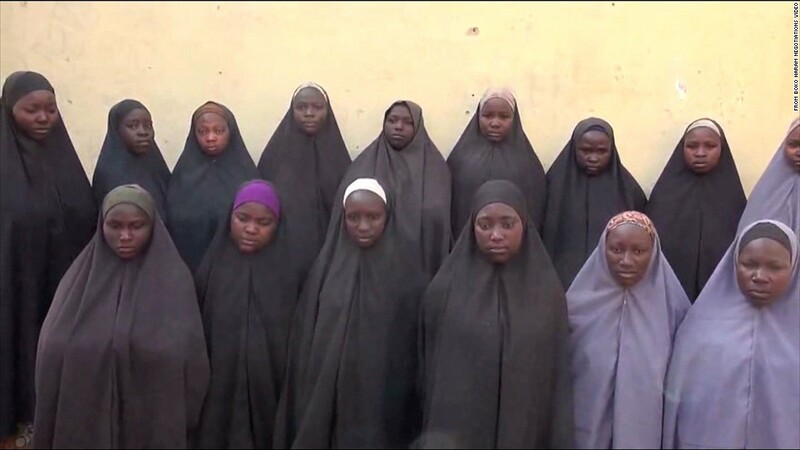 However, Presidential spokesman, Garba Shehu on Thursday confirmed that 21 of the Chibok girls, out of the over 200 abducted in April 2014, are in the custody of the Department of State Services.